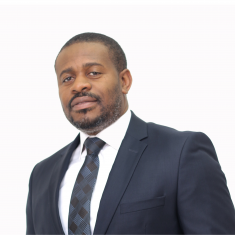 Mr. Kazeem Olawale Oladepo is General Counsel and Business Executive, Francophone West Africa and Ghana at MainOne. Prior to joining MainOne, he was the Director of Corporate Strategy and Development at Starcomms Plc, Nigeria, where he had also served as the Head of Legal/Regulatory Services and the Company Secretary. Mr. Oladepo has core expertise in legal, regulatory, commercial activities and strategic transactions and has extensively been involved in implementing strategic policies within the Nigerian telecommunications industry. He is a member of the Board of Trustees of the Association of Licensed Telecoms Operators of Nigeria (ALTON), the industry body for all communication Companies in Nigeria.